Buy Biotique Bio Neem Purifying Face Wash For Oily Acne Prone Skin - 100% Soap Free Cleansing Gel dissolve makeup, purge pores and purifies complexion. 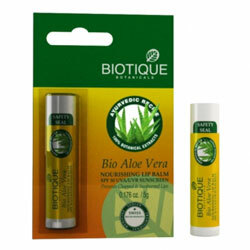 Biotique Lip Balm - Worldwide Shipping. Nutrient Rich Lip Balm prevents and corrects chapped, cracked lips. This nutrient-rich lip balm prevents and corrects chapped, cracked lips. Protects with SPF 30 UVA/UVB sunscreen.